While Rousey wasn’t in action on this week’s Raw, she continued to plant the seeds for her inevitable showdown with Nikki Bella at Evolution. 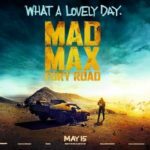 Rousey had a brief altercation with Alexa Bliss following Bliss’ victory over Natalya earlier in the show, but it was her encounter with The Bellas (the less said about them this week, the better) that really gave us a hint at the direction the WWE are going in with the champion. The Bellas basically mocked Natalya for her defeat and began to show a more heelish side to their character, which will likely be used to set up Rousey Vs Nikki next month. 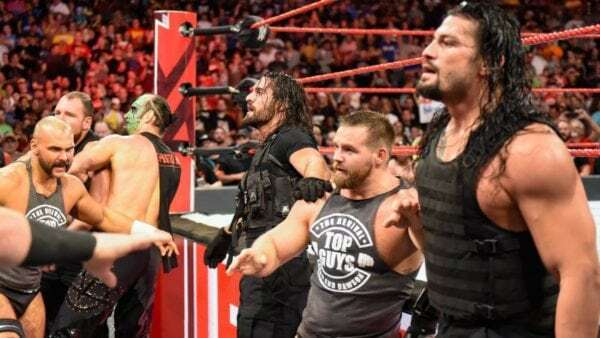 While the spotlight wasn’t really on Ambrose on this week’s Raw, the former WWE champion was still front and centre with his Shield buddies for large portions of the night. While the Shield reunion may be a cynical ploy from the WWE to help get Reigns over, their reunion has already been a whole lot better than last year’s failed attempt, and their upcoming match with Braun, Ziggler, and McIntyre looks set to steal the show in Australia. Like Ambrose, Rollins was involved in plenty of the action this week, even if the focus wasn’t particularly on him. It will be interesting to see whether Ambrose and Rollins now decide to chase the tag-titles, given that they never got their rematch for the belts at the start of the year and that their arch-rivals are now holding the gold. The Intercontinental title has taken a back-seat in recent weeks, and I’d love to see someone like Balor be given an opportunity with the strap while Rollins continues his feud with Strowman, Ziggler, and McIntyre. Braun Strowman’s heel turn on last week’s Raw has received a mixed reaction from the fanbase, but Strowman did a great job at selling it on this week’s Raw. His opening promo was a lot of fun, and his destruction of Balor in the main-event really got him over as a monster, not that he needs it. Strowman is likely to lose at Hell in a Cell, and it’s unfortunate that the company has sacrificed one of their top stars to get Reigns over, but hopefully, he can make the most of this heel run and come out the other side even better for it. Say what you want about Roman Reigns, but it is refreshing to have the Universal title involved on Raw every week, and his run with the belt so far has been excellent. The Shield reunion is over huge, and while Reigns is clearly the focus, it doesn’t feel as though he is being pushed down our throats too hard. All of the Shield’s segments on this week’s Raw were excellent, and Reigns’ match with Strowman at Hell in a Cell is shaping up to be one hell of an encounter.